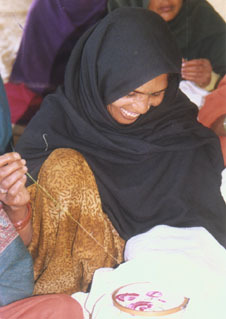 Bhagwati and her husband led a hand to mouth existence, both earning wages as agricultural labour. Work become difficult to find and their poverty became acute. 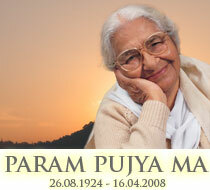 Bhagwati saw the success of women who were members of SHG’s and also became a member. Initially, she took a loan of Rs.1,800/- and bought a cycle rickshaw cart so that her husband could sell vegetables in nearby villages. Gradually his earnings rose to Rs.3,000/- per month. Bhagwati repaid her loan and took another of Rs.5,000/- to set up a small shop, from which she earns up to Rs.1,500/- per month. Despite a limited income, her access to credit made it possible for her to take a loan of Rs.15,000/- for her daughter’s marriage, which she is gradually repaying. They have also constructed a properly built room. She has also bought cooking gas and a television, and increased her savings to Rs.100/- per month. She has won the respect and regard of her husband and peers. For Bhagwati and her husband the future is full of promise. Smt. Seema Devi, of Dubbata self help group, has brought a buffalo after taking a loan of Rs.15, 000 from the group. She is supplying the milk in Mangla market and earning Rs.1, 800 per month. After saving her money she has constructed a new room for her family and is very happy. These small stories reflect many years of educating and enabling women’s groups on financial management, local governance, advocacy and the necessity of a collective approach and representation. Their persistent follow-up of their petitions accounts for their achievements. 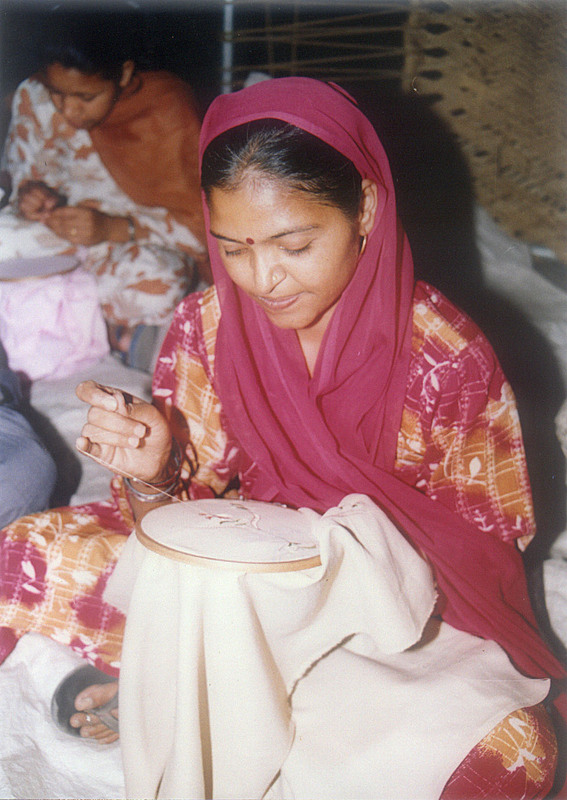 In the past 30 years, Arpana has trained over 2,500 rural women in Haryana to produce exquisite embroidery. Beneficiaries include women who are not permitted to work outside the home, yet who yearn for some income to ease the lack of financial resources for their families. Members of Arpana market these hand embroidered items at Arpana’s shop, “Devotion,” E-22 Defence Colony, New Delhi, as well as through home sales and other initiatives. 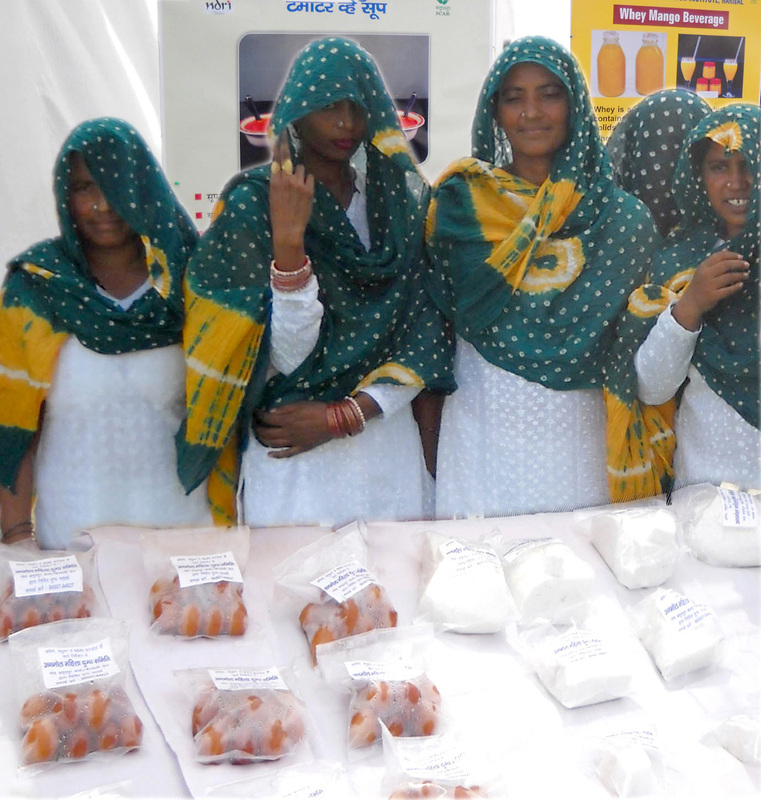 The Anmol Mahila Dugad Samiti, a women’s self help group from Amritpur Kalan, facilitated by Arpana, is successfully running a milk processing unit in collaboration with the National Dairy Research Institute (NDRI), Karnal, with financial and logistical support for the start up from Arpana. This is the first of its kind in Haryana. The 9 member cooperative successfully sells paneer, gulabjamun, whey-based drinks, desi ghee, and butter through stalls at Arpana, LIC offices and Paccapul. They regularly supply NDRI hostels in Karnal and also seek orders to supply marriages and other celebrations. They divide the work amongst themselves, earning about Rs.75 per day for 3 hours work.